This is a developing story, and we do not know all the details yet, so stay tuned. 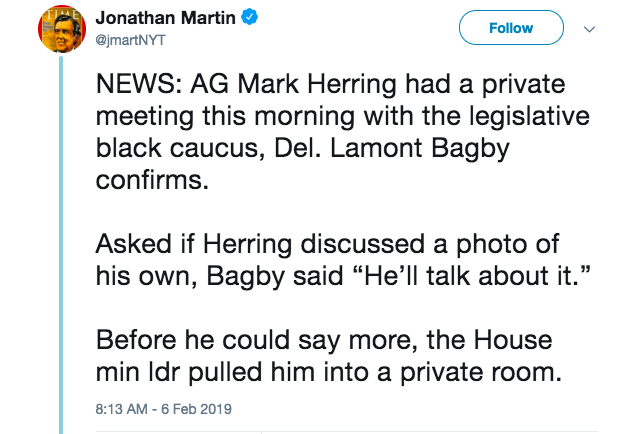 For now, suffice to say there are rumors that a photo exists somewhere of Attorney General Mark Herring in blackface, from 1979 when he was a student at UVA. 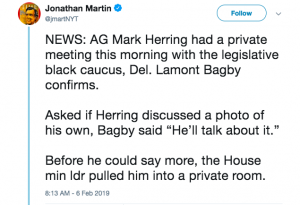 And it is reported here that he met urgently with members of the Legislative Black Caucus this morning.